GOGO Charters is the premiere charter bus, shuttle bus and minibus rental company in New York City. We service not only NYC but also the surrounding burroughs and the entire state of New York. We specialize in wedding shuttles, corporate travel, sports team charters and private charter bus rentals in New York and the tri-state area. Call us for help with all of your group travel needs. 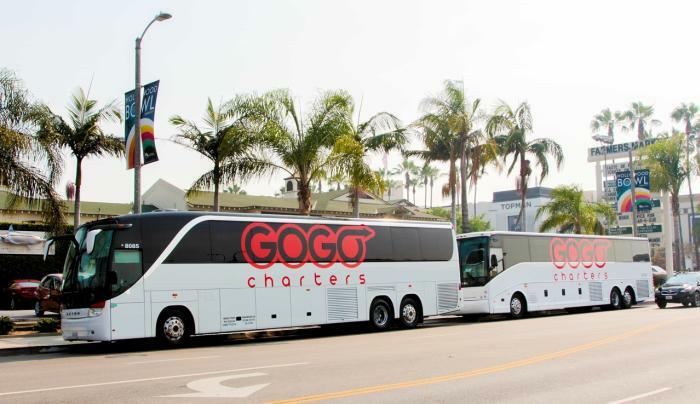 GOGO Charters offers unparalleled customer support, ensuring that your trip will be safe, comfortable, and efficient. Take a quick look at the buses we offer and let us help you find the one that's perfect for you! Call us today at 1-855-826-6770. We're available 24/7 and always happy to help.